I wish all Behind The Water Tower readers a happy and prosperous 2011. I would also like to thank all our campaigners and contributors and especially: Robert Hall, Marek Ciesielski, Robert Dylewski, Piotr Kumelowski, Inzynier, Podroznik and Prezes. PS. In 2011 look forward to publishing more stories about our successful campaigns. My New Year resolution is to post on BTWT more regularly, although if there is a choice between dashing across the country to try to save a railway line, or publishing a new post on time, the railway will win every time! Andrzej Wach, former Chairman and CEO of PKP SA. Photo PKP. 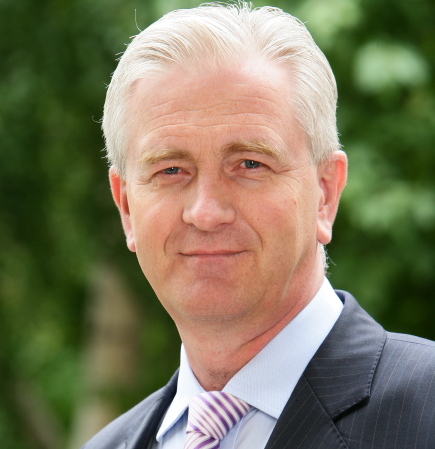 Andrzej Wach has been sacked from the position of Chairman and Chief Executive of Polskie Koleje Panstwowe SA. While the sacking is being spun as the first decisive move by Andrzej Massel, the new Undersecretary of State responsible for railways at the Ministry of Infrastructure, our sources indicate that his sacking (and that of former Undersecretary of State, Juliusz Engelhardt) was decided at a meeting on 20 December between Prime Minister, Donald Tusk, and his good friend Cezary Grabarczyk, Minister of Infrastructure. For legal reasons PKP SA must have a chairman and so existing board member Maria Wasiak will be acting chairman while a search for a permanent appointment is made. Many industry observers believe that Massel must cut deep into the PKP hierarchy is he is to make any impact upon the complacent and self-serving management of the PKP hierarchy, nicknamed beton (concrete) by Poles. The senior management of PKP form a series of interconnected networks which blur accountability and encourage corruption. The former Rail Minister, Juliusz Engelhardt, was a previous member of the PKP SA supervisory board with which he retained friendly relations. Maria Wasiak manages eke out her wretched salary as Director of Promotions and Social Affairs on the PKP SA main board by taking a second job as chairperson of the PKP Intercity supervisory board. Pawel Olczyk is so badly paid as the director responsible for real estate and property matters on the PKP main board, that he has had to take on a second job – chairing the supervisory board of PKP Informatyka, the PKP subsidiary responsible for information technology. This miserly approach of rewarding its top management extends down to PKP regional directors and managers many of whom have had to take on second jobs running private companies which tender for PKP contracts. There are even tales of PKP staff being paid twice to do the same job – once by their PKP company and a second salary from the private company owned by their PKP boss. Will Massel be able to cut out the dead wood and change the culture of the PKP Group? A lot depends on the extent he receives the backing of Prime Minister, Donald Tusk, for any reforms he may propose – his direct boss Infrastructure Minister, Cezary Grabarczyk, seems singularly uninterested in the state of Poland’s railways. PKP Customer Care – the replacement ‘waiting room’ during the refurbishment of Warszawa Wschodnia. Photo Zbigniew Bartus, Dziennik Polski. Andrezj Massel, the Deputy Director of Instytut Kolejnictwa, Poland’s Railway Research and Development Centre has been appointed Minister responsible for railways by Poland’s Prime Minister Donald Tusk. Massel who takes over as Undersecretary of State responsible for railways in the Ministry of Infrastructure, will be taking over the seat vacated by Juliusz Engelhardt, fired on 21 December after 3 years in the job. Massel will be starting his new job on Tuesday 28 December and as an immediate priority has been tasked to decide what heads should roll within the PKP Group. Andrzej Massel is well-liked by his colleagues in the railway industry, unlike Engelhardt who was regarded as arrogant and unapproachable. Massel has worked on a number of feasibility studies for EU-funded projects including: a joint CNTK (1) / W S Atkins study into upgrading the Siedlce – Terespol line; a study into new rolling stock for the Wielkopolska provincial government; a preliminary study for the Warsaw – Wroclaw / Poznan high speed line; a study into upgrading the Warsaw – Gdansk corridor; and a study for the construction of a new section of the Warsaw Metro. Massel is also one of the authors of the Ministry of Infrastructure’s Masterplan for Poland’s Railways until 2030. So how did Massel, who is a competent technocrat, but relatively unknown outside the railway industry, pick up his this high profile (some might say poisoned chalice) job? It seems that his hobby of collecting old railway timetables as well as his work on the upgrading of the Warsaw – Gdansk corridor may have been to blame! After a week of chaos following the introduction of the new timetables Masel wrote a hard-hitting piece in his regular column for KOW (Railway Publishing House). Here is a brief extract. The new timetable – fact or fiction? The new timetable came into force on 12 December. The media are reporting that its introduction marked a greater crisis for the railways than the severest frost or the greatest snowstorm. It provides information about trains that depart from platforms that don’t exist, about trains which do not have enough room for intending passengers and about trains that – because of defective rolling stock – have failed somewhere en route to their destination. The loudest complaints come from travellers who cannot get hold of up to date information. It is impossible to get through on telephone numbers to information centres, websites crash apparently because too many people are trying to access them. Theoretically all is well. A week before it was due to be implemented, detailed timetables were published on the Przewozy Regionalne website. On 3 December PKP Intercity made its new timetable available as a pdf download. Both timetables have a significant fault – neither of them have much connection with reality. I am personally interested in the timetable for trains operating between Warsaw and Gdansk. According to table 400 on the Przewozy Regionalne website, and the appropriate PKP Intercity webpage, the service on this line has undergone a radical improvement, both in terms of train timings and frequency. Kazub, the fastest train between Warszawa Centralna and Gdansk Głowny should complete its journey in 3 hours 57 minutes, whereas upto now it has been taking 5 or even 6 hours to complete its journey. Of course, from the first day of its introduction, the new timetable published by both operators will not be applicable. The upgrading work being carried out on this line entails a great deal of single line working. The consequent delays mean that for a long time trains will continue to take around 5 hours to complete their journey. But you will only find out about this if you read the small print: Because of the modernization of the line between Warsaw and Gdansk and the modernisation of Gdansk Oliwa station journey times are subject to change. This raises a moot point, Why make passengers angry by promising levels of service that cannot be achieved in practice? The systemic fault is the process practised by PKP Polskie Linie Kolejowe whereby two timetables are created in parallel: the timetable for the year and a timetable for a specific period. Click here for the complete article (in Polish). As the most senior railway professional who dared to say publically what was really going wrong, small wonder that he has found himself chosen by prime minister to clear up the mess! Andrzej Massel was born in 1965. He graduated from, and was subsequently awarded a Ph D by, the Land Construction Department of Gdansk Polytechnic. 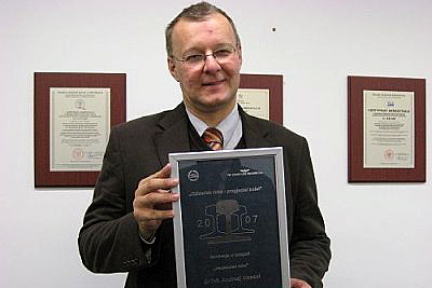 Since the early 1990s he has worked for the Centrum Naukowo-Technicznym Kolejnictwa (Railway Research and Development Centre) now renamed Instytut Kolejnictwa. From 2005 he has held the position of Deputy Director with responsibility for studies and research projects. During the period 2000 – 2001 he was the plenipotentiary for railways in the office of the Chief Executive of Pomerania Province. During the period 2001 – 2002 he was a member of the supervisory board of PKP SKM in Gdansk. His hobbies include collecting old railway photographs and postcards and railway timetables. We wish him well with his Herculean task. Customer service on the British Railways, Western Region Blue Pullman in 1964. How many former connecting lines and sidings you can spot? Film by British Transport Films. A Christmas Tale – part 1 described an incident when British Airways customer service broke down when a member of its staff had been subject to stress. The recent snow falls and freezing weather in the UK has seen some airports like Gatwick (now no longer part of the Spanish-owned British Airports Authority) coping magnificently and scheduling extra flights while others, like London’s Heathrow Airport, were totally unprepared for the big freeze and had intending passengers camping for days in the terminal buildings. Inevitably in such situations, where staff and passengers alike suffer extraordinary levels of stress, even the best designed systems can break down. Prezes has e-mailed a story which continues with the theme of delivering customer service when the going gets tough. about how a sharp eyed member of one airline’s ground staff ensured a Happy Christmas for severely disabled man stuck in Heathrow chaos. Arriving to work at 06:00 on 22 a few days ago, Susan (all names changed to avoid embarrassment) was threading her way through the bodies that lay sleeping in the check in area when she saw a man sitting in a wooden chair. Now this struck Susan as strange – such chairs are not used in this part of of Terminal 3. But the most extraordinary part was to follow, the man got up and with great difficulty started to walk towards her. He caught her arm, introduced himself as Peter and slowly explained that he was trying to return home to the USA. He talked the way he walked, with great difficulty. He had been in the Terminal for 4 days. Alarm bells rang in Susan’s head. When flights are severely rationed, passengers returning home are given priority over passengers flying out from their home country. Disabled passengers should be flown out on the first available flight. Someone like Peter should have been back home days ago, not still sitting and sleeping in a chair for 4 days. Susan rushed upstairs, pausing only to enquire from the manager responsible as to the status of Peter’s case. Oh that’s all right we arranged for him to stay in a hotel, came the breezy reply. Susan took a deep breath, rushed up some more stairs and found herself talking to a senior manager several levels above her rank. You were right to let me know, do whatever you need to do and get him on the next available flight. Peter had fallen through the system, because although his movements were severely impaired he preferred to walk rather than use a wheelchair. Without a wheelchair staff did not recognize his case as exceptional. They made a reservation for him in a hotel, but expected him to find his own way there. After waiting for over an hour in the freezing cold for a bus that never came, Peter decided that it was warmer and safer back inside the terminal building. Someone had fetched him a comfortable chair and he was left sitting in it for three days. The story has a happy ending with Peter getting back home for Christams after Susan personally made sure that Peter got onboard the next USA flight. The company she works for – owned by an eccentric millionaire – differs from PKP in one crucial respect. When a catastrophic failure occurs, staff are empowered to think and behave as if the airline belonged to them and to take whatever means seem reasonable to put things right. You may feel that there is less scope for such empowerment on the railways, but this little story published on-line by the BBC, proves that even in the days of British Railways, such little heroic acts of extraordinary customer care did occur. A trip on the Santa Fe Railroad in 1954. Film from the Travel Film Archive via YouTube. Podroznik is preparing a series of educational films for whoever is brave enough to step into Juliusz Engelhardt’s shoes. The Passenger Train is one of his choices. USA railroads may not have run their trains particularly fast in the 1950s, but they certainly knew how to look after their passengers. The real test of the sincerity of company’s commitment to providing the best possible customer service to its passengers is not when things are running smoothly, but when they have become derailed. Sadly as passengers on PKP InterCity have long known, the best customer care courses in the world are useless unless they are backed up by the appropriate procedures and staff empowerment. I recall flying on British Airways just after the company had spent several million pounds on training its staff in customer care. There was a bomb scare at Heathrow and my plane departed some four hours late. During the flight I pressed the button to ask the stewardess for another bottle of wine and she practically barked at me, What do you want? Just one bad experience, and I have never thought of the world’s favourite airline in the same way again. The 07:38, or possibly the 07:54 or 07:58, Warsaw train at W-wa Jeziorki. From a photo by Michael Dembinski. Just as I thought I had flogged the new timetable story to death, Michael Dembinski on the W-wa Jeziorki blog drew attention to a unique Polish phenomenon that had so far been ignored by BTWT – the virtual timetable. Coming from Britain one expects the timetable to be the basic foundation of railway operations. Though on this world trains may run late, trains may run early, trains may be cancelled, there is nevertheless the timetable – a perfect entity, worthy of a place in Plato’s World of Forms – of which our earthly train services are but a mere shadow. The Polish railway timetable plays no part in Plato’s world, in fact it seems to by the product of the world of Mephistopheles. The virtual timetable – one of its essential ingredients – is one of these peculiarly Polish things for which there is no adequate word, nor adequate explanation, in the English language. Nevertheless I will make an attempt to elucidate. Let us start by looking at what the virtual timetable is not. I was once making my way across Poland by rail when I had to change trains at Czestochowa. I checked on the on-line timetable and there was a good 25 minute gap before my connecting train to Krakow was due in. My train arrived 10 minutes late, so I re-checked my connection on the printed timetable displayed at the station. Bother! My train had left 30 minutes ago! Now it was very important for me to get to Krakow on time, so I rushed across the footbridge in something of a state and explained my predicament to the lady behind the information counter. She smiled sweetly and told me not to worry, I still had 10 minutes before my train was due! As the the on-line timetable carried the amended times and the station staff clearly knew at what times the trains were supposed to run, this is not a true virtual timetable. Another time, I had to travel regularly between Warsaw and Lodz during the EU-funded refurbishment of the track between Lodz Widzew and Skierniewice. As the key milestone date for the introduction of the speeded up services approached, new timetables were displayed at the principal stations showing the new 90 minute train services. The refurbishment delivery slipped, trains were cancelled, journey times extended. The new timetables were officially introduced, the project milestone achieved, EU funding signed off. The actual train services still took 2½ hours, their actual schedules displayed on little scraps of paper at ticket offices and on the Internet. Here we have a case of two official timetables – showing different train times – both which have a formal status. One is for ordinary travellers the other exists in a parallel universe inhabited by EU officials and Ministers of Infrastructure. So a high degree of virtuality here, although reality breaks through as no seasoned commuter between Lodz and Warsaw would dream of planning their journey to work according to the train times in shown on the official timetables displayed at the stations. However, a real virtual railway timetable should be not only completely different to the one advertised, but also should not appear in any official railway publication. Having unexpectedly found himself at Warszawa Wschodnia rather than Warszawa Srodmiescie at the end of his commuting run, Michael writes with feeling about his train services to Warsaw. The introduction of the new timetable is usually entirely virtual, since trains keep running (on my line anyway) to the old timetable for weeks regardless. I checked PKP’s on-line timetable which showed trains running on Michael’s line according to the new timetable. Trains oblivious of anything published anywhere by PKP – that really is railway operation according to a 100% virtual timetable. Karp w Szarym Sosie. Photo Otwarta Kuchnia. Cut off and discard the head, scrape off the scales with a very sharp kitchen knife, and wash thoroughly. Cut into 2 inch (5 cm) wide steaks, salt and put into the fridge. Place carp steaks into boiling stock and simmer gently for 10 minutes. Drink ½ of the remaining beer. Remove the carp very carefully from the stock and arrange on a fireproof dish with raised sides. Discard some of the stock, retaining a quarter (250 ml). Wash the raisins, put them in a glass, add boiling water, leave for ten minutes, then drain. Chop the almonds. Caramelise tablespoon of sugar. Brown some flour by heating gently over a saucepan then add butter and mix to form a roux. Dilute with hot stock. Add (if you had no ginger add ½ a crushed ginger biscuit now) raisins, almonds and caramelised sugar to taste. Simmer for 10 minutes, mixing thoroughly. Add lemon juice to sauce and pour over carp. Juliusz Engelhardt, the former Under Secretary of State responsible for Poland’s railways. Photo Shalom, via Wikimedia Commons. Juliusz Engelhardt, until yesterday Under Secretary of State at the Ministry of Infrastructure responsible for Poland’s railways, has been sacked. Announcing Engelhardt’s departure Prime Minister Donald Tusk said, We have made a start to clear up the mess on Poland’s railways. There is such as thing as respect for passengers – for PKP’s clients – and it is clear that here it is sadly lacking. This chaos was linked the bad weather, but it was accented by badly prepared timetables and a mistaken view of competition between railway companies. but as MPs call for Minister’s resignation will it be enough? The PKP ‘apology’, a whole page ad, appeared in Thursday’s national papers – Rzeczpospolita, Gazeta Wyborcza and Super Express. The unfortunate travel experiences which passengers have experienced in the last few days require our explanation. Discussions regarding the shape of the new timetable dragged on into early December. This was unprecedented. PKP Group companies also took part in these discussions. This created an information buzz and the accompanying winter aura as well as the rebuilding of lines and stations cumulatively impacted upon the late running of the trains. We are aware that even the loudest utterance of the word SORRY will be no compensation for the stress and difficulties currently affecting rail travel. The experiences of the last weeks demonstrated to us, railwaymen, how much remains to be done to satisfy our CLIENTS. We hope that in spite of recent bad experiences, you will choose rail to travel to your nearest and dearest for the celebration of Christmas. We also wish that the time you spend travelling by rail will be a welcome respite before your family gathering. Poland being a Catholic country, one might expect that PKP’s ‘unprecedented’ whole page ‘confessions’ that appeared yesterday in the national press about the on-going nightmare on Poland’s railways might evoke a sympathetic response from PKP’s long-suffering passengers. I expect, however, that their appearance will only pour petrol upon the bonfire of whatever tattered remnants remained of PKP’s reputation. In spite of the flowery language – ‘information buzz’ and ‘winter aura’ – there is little sign of a ‘firm purpose of amendment’ – the condition that the Church requires to be fulfilled before it grants absolution to those who have confessed their sins. For a start there is no promise that PKP will try harder next time. Secondly, there is no attempt to offer any kind of compensation to passengers. A much more convincing gesture would have been to offer passengers some kind of travel promotion (say, buy one ticket and get one free) which would have generated media attention AND made passengers feel a little better. Finally, the apology is not signed by Andrzej Wach, the chairman of the PKP Group. Instead it is signed off ‘the Railway Workers of the PKP Group’; while this is in keeping with communist era notions of ‘group responsibility’, ( i.e. no one is responsible). It is hardly the fault of the railway workers that neither PKP InterCity, nor Przewozy Regionalne, knew how much money they would have to fund their 2011 operations. A situation which makes it difficult to make a rational decision as to how many trains to run. Nor is it the fault of the railway workers that PKP has been broken up into so many parts (a separate company is responsible for the on-line timetable) that no one knows whether they are coming or going, or that the electricity supply to the point heaters has been turned off. Both the botched transfer of Przewozy Regionalne to the provincial governments, and the hopeless fragmentation of PKP, are the result of political decisions signed off – or at least allowed to rest unchallenged – by the Ministry of Infrastructure. In a civilised country the responsible Minister, Cezary Grabarczyc would resign; indeed there have already been calls in the Sejm (the Polish equivalent to the House of Commons) for him to do so. But Grabarczyc is a close allay of the prime minister, Donald Tusk, and Tusk has already announced that he and Grabarczyc will ensure that those responsible for the chaos will be punished. Grabarczyk, who would appear to be safe for the time being, has responded by cancelling the end-of-year bonuses of PKP Group chairman, Andrzej Wach; Grzegorz Mędza, chairman of PKP InterCity; and Zbigniew Szafranski, chairman of infrastructure company, PKP Polskie Linie Kolejowe, and their deputies. However, it is understood that for a variety of reasons these bonuses were not going to be paid anyway, so cancelling them is an empty gesture. On Thursday, Julius Engelhardt, the Undersecretary of State responsible for rail, appeared before MPs to explain what had happened. He made a poor showing. It is widely expected that if the chaos and accompanying parliamentary row continues then Wach, and possibly even Engelhardt himself, will be dismissed. Already, PKP main board member, Jacek Przesluga, who has publicly called for a complete ‘re-engineering’ of PKP, seems to have his eye on the Group chairman’s job. E-mailed by Podroznik in installments during his journey to Berlin. I’m off to Berlin for the weekend. Quite a good connection was advertised from [cut to preserve Podroznik’s anonymity] on a TLK, arriving at Poznan in ample time for the Berlin-Warszawa Express. A 07:05 departure is a bit early for me, but I was up at 05:00 and at the station at 06:30. The departure board showed on-time. Great! At 0704, it is announced, that there is a 15 min. delay. Oops there goes my connection at Poznan!. 20 min. later, at 07:24, the delay is increased to 30 minutes. Then, precisely at the 30 minutes mark, it is changed to 1 hour! We arrive Poznan 63 min. late, the BWE is long gone. I follow another traveller into the dyzurny ruchu, where the woman informs him that they can’t give late stamps for InterCity trains, as she works for PR. So I head off to the InterCity Customer Service Office. There will be no problem travelling on the next BWE. However, they can’t give me a free seat reservation on the next train. Either I can travel with the endorsed ticket and take a free seat, or I can buy a seat res. for 3.50 euro. But she says, you can then get that back by tabling a complaint. Which begs the question, if they will refund it anyway, why not just give it to me for free in the first place, and avoid having to write a letter on my side, and they having to process a refund on their side? Now in Coffee Heaven, killing time until the BWE (1 hour to go). It shows on time, but who knows….? BWE has just come up with a 25 min. delay. So the waiting continues. I should have been in Berlin by now! nicely, it’s warm inside, and not crowded. Running about 45 minutes late. Just heard about the latest file released by Wikileaks. Railway chaos… who’s to blame? InterRegio Wrocław – Swinoujscie entering Choszczno station, June 2009. Photo H. Ciszewska-Czyz, Wikipedia Commons. Pass the parcel is the name of the train blame game. Hot on the heels of Behind The Water Tower’s exposé about the chaotic introduction of the new timetable [well 8 days later] RMF 24 published an interview about the way the new time timetable was introduced with Polish railway pundit Jacob Majewski (1). It’s the Minister of Infrastructure and his subordinate Office of Railway Transport [UTK] that are responsible for the complete mess on the Polish railways, screams the first sentence. West of the River Oder the new timetable is published a month before it introduced, Majewski points out. Well actually, in Germany it has to be published 6 weeks before, and European best practice is 90 days. The Office of Railway Transport is the body responsible for ensuring that the market works effectively, adds Majewski. If the UTK don’t defend passenger rights, thunders Majewski, the EU will take action. If only! Another version of the interview has appeared on the on-line pages of trade journal Rynek Kolejowy (Railway Market). Jakub Majewski, primarily blames the train operating companies who were introducing changes up to the last minute. Meanwhile passengers continue to face difficulties. There are still significant differences between the times that the trains are running according to the printed timetables and the times that the trains actually run. In Warszawa Centralna station the problem is compounded by the tiny screens – only showing a few trains at a time with limited information about intermediary stops – that replaced the old electro-mechanical arrivals and departures board. Gazeta Wyborcza’s Warsaw supplement reports that the chaos at Centralna is compounded by the noise of the renovation work which drowns out the PA announcements. Other problems include trains running at the wrong times to bring people to work or no information about which fares apply. Podroznik reports that he has been unable to find out on which of the trains running between Poznan and Frankfurt on Oder the Sasiedzi special offer applies to. So are the rain operating companies, or Cezary Garbarczyk, the Minister of Infrastructure, and Juliusz Engelhardt, his Undersecretary of State responsible for rail, to blame for this year’s chaos? Our view is that the train operating companies are too far down the feeding chain to have much say in the matter. Rzeczpospolita reports that of the 14 provincial governments responsible for funding Przewozy Regionalne operations only 2 have finalised their 2011 contribution. The funding of PKP IC, which suffered a massive loss in 2010 remains equally uncertain. So who is really to blame? Of course, the Minister of Infrastructure and his Secretary of State should be prepared to stand up and admit that their laissez faire free-market policy is not working. But blame for Poland’s rail financial crisis, which is driving the timetable chaos, extends to other ministries as well. Jacek Rostowski, in charge of the Ministry of Finance, should look again at the financial implications of the Government’s transport spending and analyse whether the government’s absurdly pro-road financing policy is – in the long-term – really cost effective. He should also urgently review the penal rates of local taxes levied on PKP and other other infrastructure managers. Other Ministries are also responsible for policies which have componded Poland’s rail inndustry woes. Andrzej Kraszewski, at the Ministry of the Environment, should remind his colleagues that Poland is in breach of its EU CO2 reduction obligations and that road transport is a major factor in Poland’s CO2 emissions. Elzbieta Bienkowska, the Minister of Regional Development, should review whether the rules her department have introduced for administering EU infrastructure funding are unnecessarily complicated. Meanwhile, Jerzy Miller, responsibe for the Ministry of the Interior and Administration, is ultimately responsible for the absurdly long legal processes which have hindered the development, or transfer, of PKP’s real estate. These in turn have destroyed the opportunity for any privatisation ‘windfall’ for the treasury which could have offset PKP debts. (1) For a definition of railway pundit, Google Christian Wolmar. If any BTWT readers have studied the new timetable and have discovered significant changes – train services cancelled, new services introduced, timing differences – we would like to hear from you. While today’s post contains links to quite a few source article written in Polish, we trust that BTWT readers wishing to follow these up will have no difficulty in viewing a fairly good translation courtesy of Google Translate. A tower block somewhere in Warsaw. A dozen of us gather round the table – representatives of the many foreign companies that have business relations with Poland, representatives of railway operating companies, representatives of the railway trade unions… . A truly diverse group, with one thing in common – a serious concern about the Polish Government’s policy – or lack of coherent policy – with respect to the Polish railway network. We agree to apply the Chatham House rule – it will be possible to report on the proceeds of the meeting, but not report on who was there and who said what. An efficient transport infrastructure is a key factor for economic growth. As Poland’s neighbours start to charge higher prices for access to their road infrastructure, more long distance freight will travel across Europe by rail. As Poland’s city’s and large towns snarl up with commuter road traffic, modernised trams and fast light rail combined with ‘Park and Ride’ offer an effective alternative to urban road construction. But Poland’s neglected railways and commuter rail lines are unattractive to freight hauliers and passengers – Poland’s track access charges are one of the highest in Europe, while slow and dirty trains and trams offer little incentive to switch from road to rail. Only 10% of Poland’s transport investment budget goes to railways. In neighbouring countries the proportion allocated to rail is around 40%. Public perception is that railways are ‘subsidized’ by the government. In fact most of the deficit is funded by debt – partly a debt due to Polish local authorities, the result of penal rates of local taxes, and partly a debt due to foreign financial institutions. The government’s intention has been to repay this debt from the sale and privatisation of Poland’s railway companies. In allowing ‘free competition’ between transport modes the government is not allowing for the extended costs of road transport: accidents, policing, pollution; nor for the fact that road and rail account differently for the cost of capital employed. An apocalyptic vision of the future of Poland’s railways emerges – from a peak of around 32,000 km of route in the 1960s, Poland’s railway network declined to some 26,000 km by 1990 (mostly through closure of rural branch lines and narrow gauge railways), declining further to 23,000 km in 1998, then to 20,000 km in 2006. The current operational network is 19,000 km (12,000 km electrified). The Ministry of Infrastructure has only allocated funding to keep 7,000 km operational. The Secretary of State responsible for rail in Poland’s Ministry of Infrastructure only observes the minimal legal formalities of the consultation process required by the EU. Listening is not one of his strengths. His ‘consultation meetings’ are unadvertised and largely attended by his team and professional advisers. Politicians who always expressed themselves in favour of rail, suddenly switch sides on reaching office. Poland is already in breach of its commitments to the European Union with respect to taking sufficient measures to reduce CO2 emissions. Rail transport generates far less CO2 than road or air transport. Perhaps here there may be an argument to which Poland’s top decision-makers might be prepared to listen? We only seriously disagree as to whether something can be done. Some argue that that any increase in the size of the ‘rail lobby’ would be welcome; others that all pro-rail lobbying initiatives have failed, the road lobby is so powerful, why should any new initiative fare any differently? A third view is argued vigorously, what is needed is a professional tightly focussed campaign, targeted in the short-term at decision-makers and also in the long-term at altering public perception. Soon our time is up – we all agree that we should meet again. Construction of a new Children’s Railway in St Petersburg. Photo Александр GM. These photos will make many of my Polish narrow gauge railway friends green with jealousy. Many Russian children’s railways have closed, but a brand new line is being constructed in St Peterburg’s. Note the concrete sleepered permanent way, colour light signals and the posts, presumably intended for lighting rather than overhead power supply! Immaculately restored diesel locomotive TU2-167 “Pegasus” with its train at the new depot. Photo Адмирал. The TU2 diesels are rather long in the tooth, but this one has been restored to ‘ex works’ condition. The first track panel in place, May 2009. Photo ASR82. Laying track directly on sand may accord with full-size practice, but is hardly ‘best practice’. A close up of the panel. Photo ASR82. It seems that the new 7km line is replacing an older children’s railway in St Peterburg. The St Petersburg line is not the only Russian children’s railway to be using concrete sleepers; the Moscow Pioneer Railway was rebuilt in 2005 using concrete sleepers. Clearly the training of a new generation of railwaymen is being taken very seriously indeed. 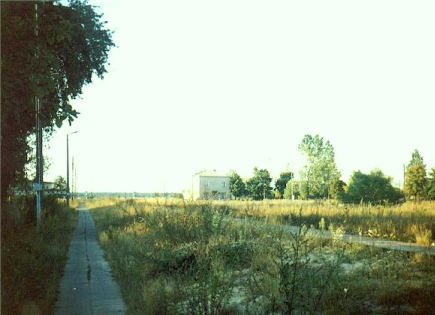 Kepa 1992, on the line from Stalowa Wola Rozwadow to Lublin. Photo ©Tomasz Ciemnoczułowski. Kepa Rzeczycka 1995. Photo ©Tomasz Ciemnoczułowski, Server Milosnikow Transportu Szynowgo. Poland’s railways’ presence on the WWW seems to multiply in inverse proportion to the size of the operational railway network. There is an active community of railway enthusiasts who seem to spend their entire time on their computers documenting the current railway scene, commenting on the intelligence of Poland’s decision makers or lobbying to get a particular diesel or electric repainted in a particular historic livery. A tiny number actually get their hands dirty: the largest are the PSMK regulars at Skierniewice; there is a small, but very dedicated band of FPKW volunteers at Rogow; two groups of SGKW volunteers at Starachowice / Ilza and Bytom; and a tiny, but mechanically skilled, band at Psyskowice; a small group on the 600mm gauge remnant at Bialosliwie, another on the 600mm forestry line at Czarna Bialostocka and a fledgling group that were driven out of Wolsztyn and are now starting up again at Jarocin. Yet how many Polish railway enthusiasts regularly put pen to paper and write to – or meet with – their key stakeholders, whether PKP, the local authority or the Ministry of Infrastructure? About a dozen, and I have probably drunk cups of tea (if you believe it was tea you will believe anything!) and argued with all of them. And how many railway enthusiasts have actually written to Poland’s key decision makers and made representations, not about Poland’s railway heritage, but about the state of Poland’s railways? I have yet to meet one! But before you jump on the bandwagon and berate Polish railfans for their political passivity, consider the situation in Great Britain. There are some 1 – 2 million railway enthusiasts in Great Britain, yet the rail network has butchered by over 2/3 and Britain’s trains are the most expensive in Europe. Sure railway enthusiasts have demonstrated considerable skills in saving ‘their railway’, the resurrection of the Swanage railway being the most remarkable example; but what impact have railway enthusiasts made on changing UK government policy regarding railway transport at a national level? And more importantly how many have tried? So when a railway portal starts publishing ‘before and after’ pictures of Poland’s railway network (an extremely effective for of propaganda) it is time to applaud the initiative and afford it due publicity. Sadly the Serwer Milosnikow Transportu Szynowego (Rail Transport Enthusiasts’ Server) flourished only between 1999 and 2002. It was disbanded and then partially reconstructed in 2006. It does not seem to be actively maintained at present – a great pity. However, there is much there of interest. Click on ‘Galerie”, then ‘Filmy Video”, then on ‘Movies”, and then on ‘Kolysaka.avi’ to see some amazing shunting by gravity. The Server also has some English language pages (sadly not all the links work) and also an English language offshoot – the Kolejlist mailing list, which is older than BTWT and is still going strong. Perhaps it may prove possible to reactivate the main portal in due course? For a week or two now, international reservations are supposedly available. While I able to book reservations for places on the night sleeper train to Prague, I couldn’t get anything for the return journey. I would try each day at the IC ticket office (using the traditional train numbers, which I had also checked against the DB timetable), but an error message would show on the ticket office terminals. “Try later,” I’d be told. Yesterday I made a phone call to I’s Customer Service Centre in Warsaw. Same result, “We tried, but can’t book a ticket either”. So then, I decided to take the initiative, and called České Dráhy (Czech Railways) directly on their customer service line. I explained the problem and asked if reservations were on sale for these trains. The nice lady (in good English) explained they were. And she suggested, “Try using train number… “. 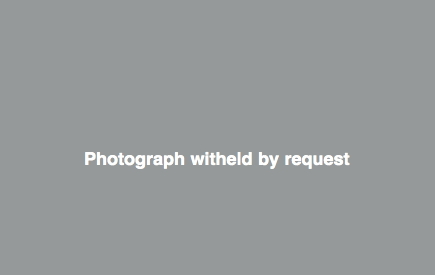 So, back to my local IC ticket office…surprise! There were the reservations I needed, using the number I was given by CD. A good result in the end, but should the customer really have to call another country in order to sort things out? Poland passenger rail services according to Przewozy Regionalne. Some of the lines shown have not seen a passenger train in years. Podroznik has been keeping me up to date with this year’s progress on publishing the 2011 Polish railway timetable. The delays – due partly to poor customer care and also partly the fault of local authorities and central government who have not committed sufficiently early to fund rail services – do not bode well for the future of Poland’s passenger services. Here are his reports. The Warsaw daily, Zycie Warszawy, publishes an article on the contrasting Polish and German approaches to publishing the new timetable. We’re doing everything we can to get the new timetable up two weeks before its implementation, says Tomasz Stachowicz of TK Telekom, the company responsible for publishing the Polish railway timetable on the WWW. In facts this is a great improvement, in previous years the timetable could only be accessed two or three days before its introduction. The German approach could not be more different. According to Hans Werner Franz, Director of the Berlin and Brandenburg Passenger Transport Authority (VBB), The full timetable must be published at least 6 weeks before it is implemented. It’s an unbendable rule. Not only does the DB timetable show the new German services nearly two months before the timetable changeover on 12 December, but it also shows it many of the new Polish services at least a month earlier before they are due to be introduced. The Zycie Warszawy article ends with a quote by railway consultant Jakub Majewski. The earliest possible publication of train timetables is essential if rail is to remain competitive with other carriers such as airlines. Since a passenger can buy a ticket 60 days before the start of his journey, he needs to know at the same time to where, and at what time, he can travel. The preparation of the new timetable should be organised in such a way that the new train times are available at the due time. The deadlines for preparing a timetable, considering submissions and makingimprovements are the same all over Europe. Deutsche Bahn has its timetable available on 15 October. Small wonder that people in Germany are much more disposed to travel by rail than in Poland. Railway Operators are discussing the new timetable amongst themselves, screams a headline on the Railway Publishing House portal, KOW. Discussions with Przewozy Regionalne were still taking place at the beginning of the week. We have to take into account many views. That’s why we are still working on the new timetable, says Beata Czemerajda from the PKP Intercity press office. The latest date for the publication of the new timetable is 7 days before it is due to be implemented, that means 5 December. Probably we’ll get a chance to see it before the end of November. Tomorrow is 1 December. The new timetable remains complete chaos. Last year, I was already loading data to our system on 20 November! This year, there is no reliable information at all. The PKP’s ‘Nowy Rozklad’ site, DB’s site, and the PKP IC ‘Zarys’ (dated September) are completely out of synch. For example, the Zarys and DB show several morning EIC trains from Krakow to Warsaw (06:05, 07:05…),whereas the PKP internet timetable the first EIC at 12:05! And IC’s online booking system shows just two EIC trains that you can book from Krakow to Warszawa! I am trying to book some international trains, but there is no timetable to refer to. I can get Krakow – Prague reservations, but Prague-Krakow reservations remain unavailable. And I ran into a weird problem with Warsaw-Moscow sleeper reservations… reservations opened on Monday, and many trains for the Russian Christmas period were already sold out on the first day!!! 8 days to the new timetable and counting. Still no final info, and complete chaos in the little information that has been published. The ticket office here is now selling many international tickets, but they have been provided with no reference timetable at all. I have to tell them what I want (based on the DB system), and in many cases they can print an appropriate ticket. 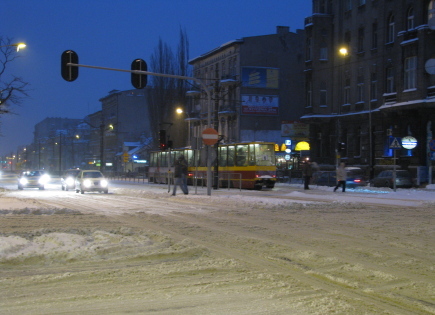 After the snowstorm – Lodz winter 2009. Photo BTWT. On Monday, the snow came. By the end of the day, everything was covered with a thin coating, as if a giant had sprinkled icing sugar over the city. Come Tuesday, it was snowing heavily, although the gritters and snowploughs were conspicuous by their absence — snow clearing has been privatised and tenders allocated on a ‘lowest cost’ basis. I had a dental appointment scheduled for 15:00 which I wisely cancelled — public transport was paralysed and road traffic was barely moving. That night there was a proper snowstorm, winds were gusting up to 60 mph and tiny particles of snow were finding their way past the window frames into the room. On Wednesday, the weather quietened down somewhat, so on Thursday, I thought I would brave the cold and have a go at getting to my dentist. The dental surgery is at the other end of town but fortunately lies on the same tram route as my home. I had a premonition that it might be a long time before I got back, so I bought myself an all-day tram and bus ticket just to be on the safe side. I was in luck — the very next tram was mine. The driver took extra care at road junctions and the journey took about ten minutes longer than the usual 40 minutes. There is something wonderfully soothing about a tram gliding on tracks covered with snow. The walk from the tram stop to the surgery was quite hazardous. Although the tram stop in the central reservation was linked by a subway to the pavements on either side of the dual carriageway, there was no cover over the stairs — the packed snow had turned into ice and the steps ere dangerously slippery. Having reached the pavement, I had one more major road to cross, this time on the level. Here the snowploughs had pushed the snow to the side of the road so I had to clamber down an icy bank to reach the road surface. I slipped, but luckily there was a lull in the traffic and no harm was done. At the surgery there was a TV set in the waiting room displaying a news program showing pictures of a paralysed UK — lorries were stranded at the roadside, trains halted at intermediate stations; motorists were skidding. I felt a little smug to to be living in a country that regarded a snowstorm as a normal occurrence. An hour later, I left the dentist with two new fillings and a wallet 200 zloty lighter. It had grown dark. I walked to a different tram stop to avoid crossing the main road. As I reached the low platform, one tram pulled away, but it was not my route, so I was worried. Half an hour later no new trams had come from either direction. Quite a crowd had built up at the tram stop and I was getting exceedingly cold. Eventually people started drifting away to join the queue at the bus stop on the other side of the subway. This seemed like a stop smart move, so I followed suit. A bus soon turned up. I didn’t recognise the destination, but the interior was warm and inviting so I jumped on board. At first, the bus preceded in the same direction as my intended tram journey. We passed a reversing loop when many of the trams that terminate short of the line’s eastern extremity reverse direction. Here there was a long queue of abandoned trams. It wasn’t clear what the trouble was; from my later experiences I guess that the points into the reversing loop had become jammed with packed snow which had then frozen. When the tram driver attempted to change the route, they became stuck in intermediate position preventing trams from either continuing their journey or swinging round in the loop. My bus turned to the right. This is what I had feared. It wasn’t a road I knew well and as the bus turned first to the left and then to the right I quickly lost my bearings. I consoled myself with the thought that being in the bus was a lot warmer than waiting outside for a tram that was not going to turn up. Suddenly an old factory appeared on the right. I had once identified as building as a former brickworks and supposed that in its heyday it had operated a short narrow gauge railway. This was good news — all I had to do was to pray that my bus would continue to travel due North and it would intercept the other East-West tram line. I was in luck, the bus had a stop about 50 yards short of the tram tracks. I got off, walked to the crossroads and then struggled another 200 yards through the snow to reach the tram stop. I cursed at the lack of bus-tram integration and crossed the road with great difficulty. There were high banks of packed snow on either side. I was in luck, two trams had just preceded eastwards over this single-track section, so a tram travelling westwards was due soon. When it arrived, the tram was much colder than the bus and our driver was inclined to leave the tram doors open for as long as possible, but at least it was moving in the right direction – West. The main question now was — would there be trams running North on the route that I needed to take me for the last leg home? My tram meandered somewhat in the style of a sailing boat tacking against the wind. It would reach a North-South route, turn to the left, then turn right, and continue its journey westwards. At each turn the driver had to change the points by hand. Usually this happens so smartly so as to be almost invisible to passengers – the tram stops just short of the junction, passengers disembark, others get on board, the driver hops off, flicks over the point blade with a steel lever and the whole process is over before anyone is the wiser. This time was different — the steel lever had to be used to scrape the snow from the gap between the point blade and the stock rail. As the night wore on and temperatures dropped, it took the driver longer and longer to get the point blades flush against their respective stock rails, but he persevered and eventually succeeded in switching each point. Now we were running past crumbling Victorian mansions and nearing the town centre. Here I had a dilemma — should I get off at the main north-south thoroughfare, then grab a tram heading northwards. This would bring me two kilometres short of my home. Here normally I’d grab another tram which would get me home, but this line is being relayed and no trams will be operating until 2012. There is a replacement bus service, but I wasn’t sure of its route or frequency. Alternatively, I could stay on my tram until it intersected with the next north-south route — this also passes my home — but could I be sure that trams would be still operating on a line which has a relatively low service frequency? As I dithered, the driver’s radio burst into life, “Routes eight, nine and ten are still suspended, remaining routes operational.” Great, I could complete my journey by tram. I decided to swap trams quite close to the town centre. The roads were narrower here and there would be less chill factor from the wind. Unfortunately I got off one stop too early. What would have been a pleasant walk during the day was a quite nasty treck in the freezing night. I reached the tram stop for my new route, and after a 10 minute wait, which seemed like half an hour a tram, my tram drew into view. This tram was even colder and my feet were freezing, but at last I was on the last leg home. I arrived home just two hours after I had left my dentist. ‘Not bad’, I congratulated myself. The evening news reported trains were running up to 7 hours late. It seems that PKP Energetyka and PKP Linie Kolejowe have not yet resolved their dispute regarding the charge for keeping point heaters connected. While PKP Energetyka receives prizes for being the most profitable PKP subsidiary, passengers suffer and the dreadful public image of Polish railways continues to spiral ever downwards.